The current product is out of stock. When the slope bug bites, will you be ready to head to the lifts? 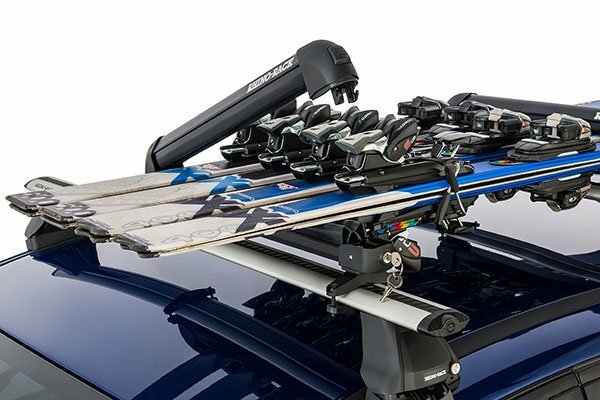 That snow-capped mountain isn't coming to you, but you can get there with all your shredding equipment when you top your auto with a Rhino-Rack Ski & Snowboard Rack. 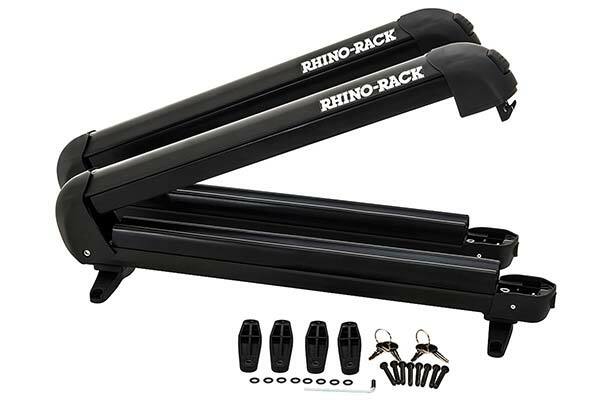 Forget about fumbling with latches, tie-downs and knobs—your Rhino-Rack Ski & Snowboard Rack sports a simple push-button opener that you can use even when you're wearing bulky snow gloves. And, the jaws are lined with a soft rubber molding that safely cradles your snow sticks and boards while still providing a solid grip. 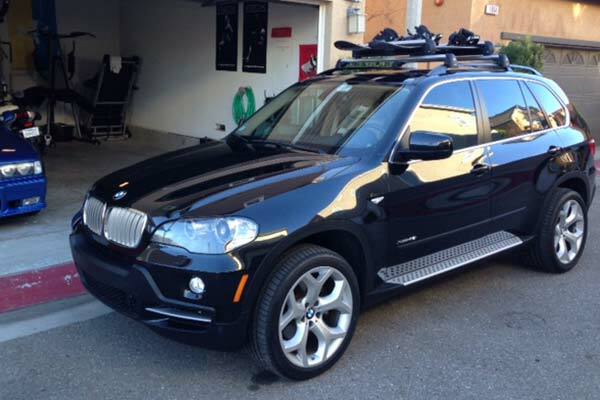 For added security against abominable snow thieves, your ski rack is equipped with locks. 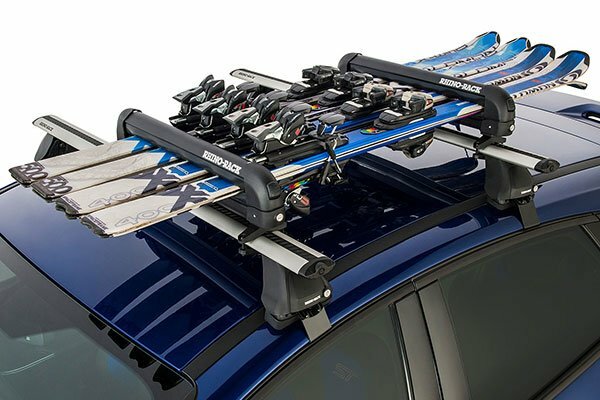 Whether you're skiing solo or traveling with your whole crew, there's a Rhino-Rack Ski & Snowboard Rack to handle your load. 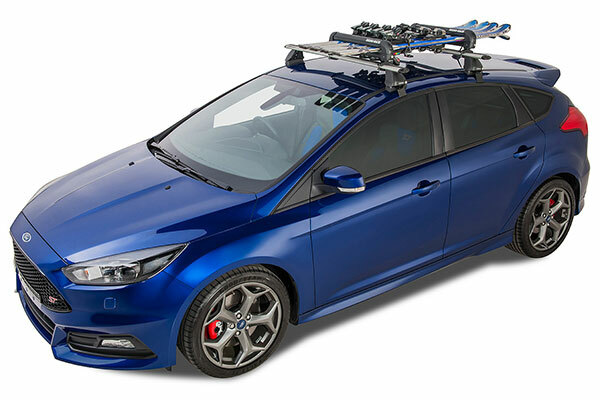 Go with the green circle-sized small rack to carry up to two pairs of skis, the blue square-sized medium ski rack to carry up to four pairs of skis or two snowboards, or the black diamond-grade large ski rack and pack up to six pairs of skis or four snowboards. Plus, it's backed by a Lifetime Warranty. 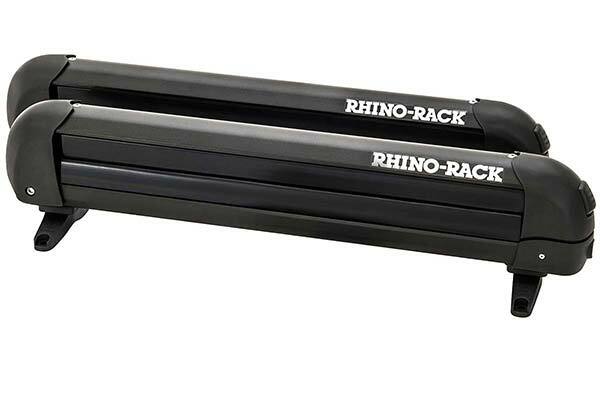 PLEASE NOTE: We are not able to ship any Rhino Rack products to Canada. Ordered online and delivery was right on time, installing was super easy and worked as advertised. Nice looking unit when installed on the top-- black installed on black Jeep makes a sharp looking addition.. very easy to install. I bought this to use for my poles so I don't have to take them apart each time. It's pretty solid and have peace of mind the security devices on them. I recommend them. Using this not only for skis but for fishing poles, holes them in there very secure. Reference # 754-511-599 © 2000-2019 AutoAnything, Inc.